Trust Our Award Winning Team! 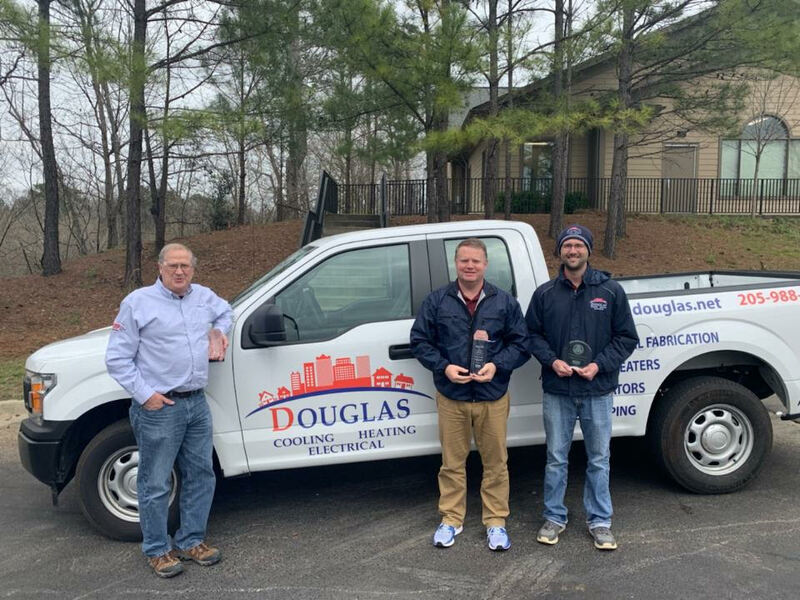 As you may have noticed, we have been celebrating success after success with our team of expert technicians here at Douglas Heating, Cooling, & Electrical. This week, we are proud to announce that we have been awarded three different awards, and we wanted to share this success with you, our valued customers. We are so proud of our team and all of their hard work. We will continue to work towards creating a comfortable and efficient environment for every customer. With the best products on the market today, and with our NATE-Certified technicians, we are sure that we will only see more success. Posted in Announcement | Comments Off on Trust Our Award Winning Team!